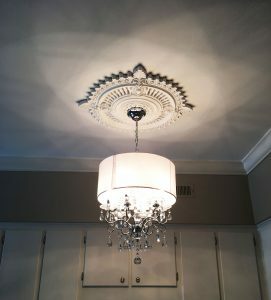 Kim from Spartanburg, South Carolina recently installed an Ekena Millwork Haylynn ceiling medallion from Architectural Depot in their gorgeous home! 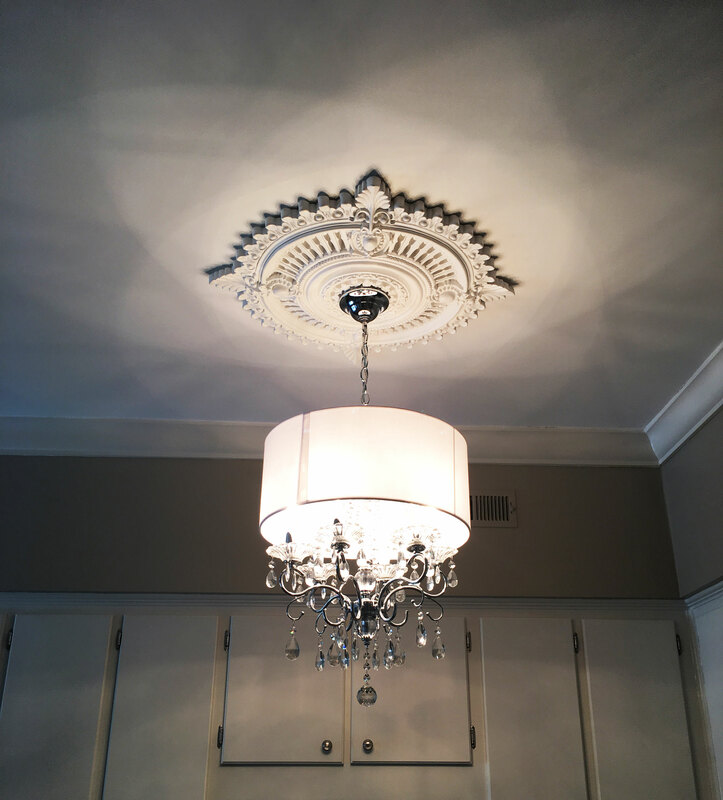 The elegant medallion is the perfect match for an equally elegant chandelier. 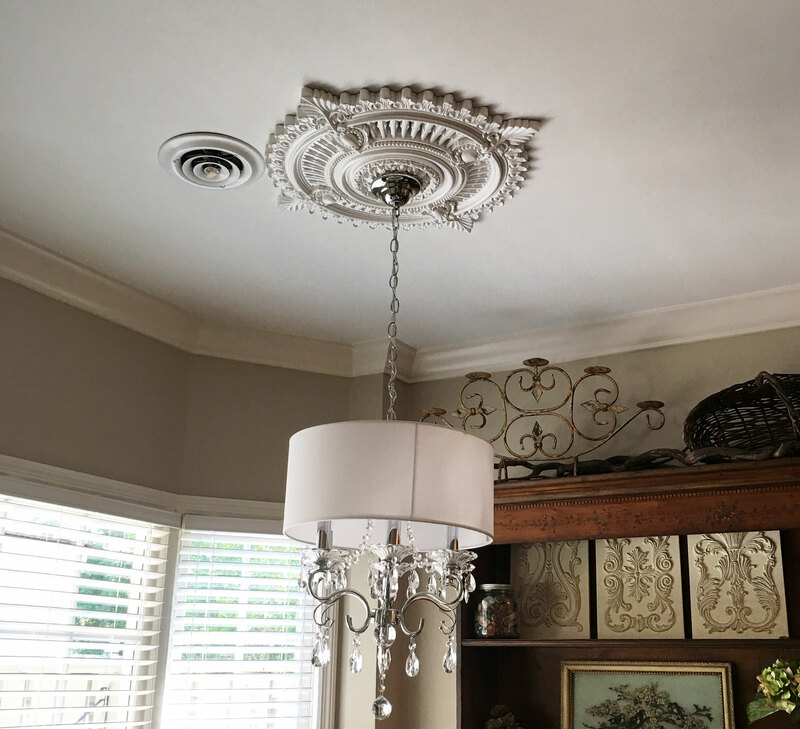 Kim opted for the factory primed finish, but the Haylynn (and all Ekena Millwork) ceiling medallions come in a multitude of stylish finishes to guarantee a look that’s right for you. The Ekena Millwork urethane medallions are durable, lightweight, and easy to install. If you would like to see our full collection of medallions, check out the link below!